NIRUPAMA Rao, a 1973 batch IFS and currently Ambassador to China, will be India’s next foreign secretary on the retirement of the present incumbent Shivshankar Menon on July 31, 2009. She is the second woman foreign secretary after Chokila Iyer. Had labour secretary Sudha Pillai clinched the cabinet secretary’s job, country’s top administrative and diplomatic posts would have for the first time been occupied by women officers. Ms Pillai, who was the senior most officer in the merit list, missed the bus as incumbent cabinet secretary K M Chandrasekhar was given one year’s extension. Another prominent foreign service post, India’s ambassador to US, recently went to Meera Shankar, another woman officer and batch-mate of Ms Rao. Incidentally, both the President of the nation and Lok Sabha speaker happen to be women. 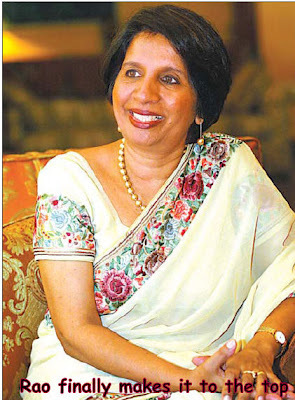 babu blogger in his post on June 3, 2009, said that “India’s ambassador to China Nirupama Rao’s ability to grab the crucial foreign secretary’s post would determine the degree of celebration for woman leadership in the country.” In fact, Vajpayee government appointed Chokila Iyre, a woman IFS officer, as foreign secretary in 2000, but it was a different story while filling up the top IAS post. An extension of former cabinet secretary B K Chaturvedi had stalled Reva Nayyar, an IAS from Haryana cadre, becoming the first woman cabinet secretary. Date of Birth: December 6, 1950 Educational Qualifications: MA in English Literature from Marathwada University. A Fellow at the Centre for International Affairs in Harvard University specializing on Asia-Pacific security. Postings January 1976 - October 1983: At Indian Missions in Vienna and Colombo, and as Desk Officer in the Southern Africa and Nepal Desks in the ministry of external affairs. 1984 to 1992: Worked in the East Asia division of the MEA, with special focus on India-China relations. October 1993 to October 1995: Minister for Press Affairs at the Indian Embassy in Washington. 1995-May 1998: India's Ambassador to Peru. June 1998 and August 1999: Deputy chief of mission at the Embassy of India, Moscow. 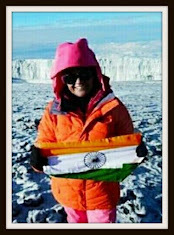 June 2001 to October 2002: Joint Secretary (external publicity) and official spokesperson of the MEA, the first woman officer to hold this post in the ministry. Major assignments: Indian High Commissioner to Sri Lanka and then Indian Ambassador to China from September 2006 Prasad to continue in PMO Continuity seems to be the mantra for Dr Manmohan Singh’s second innings as many officers from the cabinet secretary downwards are holding on to same positions under the new government. M N Prasad, a 1972 batch IAS, will remain a secretary in the Prime Minister’s Office (PMO), but on contract basis. Mr Prasad, who would have retired now, is continuing in the PMO on a contract basis but in the rank, pay and status of secretary to the government of India with effect from July 1, 2009, and until further orders, a release said. Shows the wisdom of Indian govt, and its sense of fairness to women. My best wishes to this seasoned diplomat. I am still bit confused -- who rules the country? The babus or the elected political gundas? Or both? Why in the USA they do not have these redundant positions?